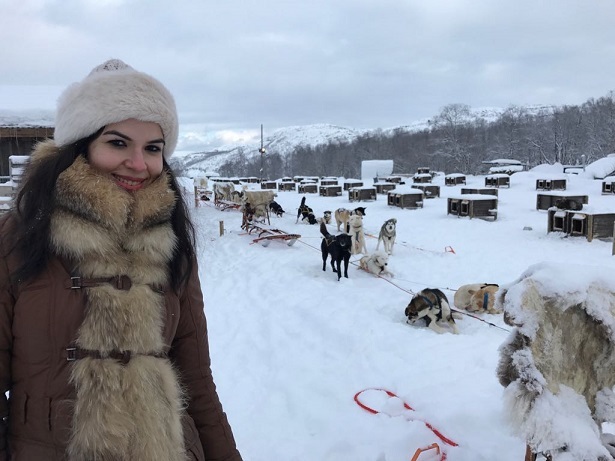 Lifestyle and travel blogger Rohiny, recently returned from a trip to the snow hotel in Kirkenes. 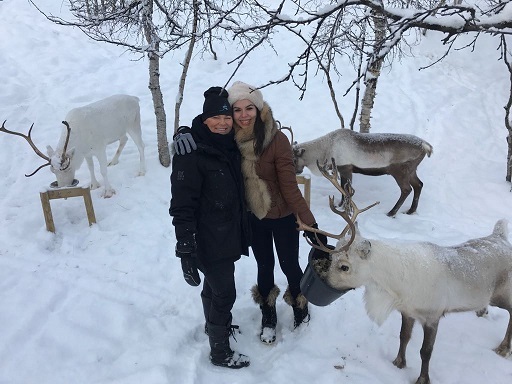 Over 200 miles north of the Arctic Circle she chased the Northern Lights, snuggled some husky pups and met the resident reindeer. 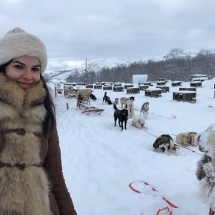 On this guest blog, she writes about her experience and offers some handy advice to future travellers. It all started on a lunch break at work. I started browsing northern lights (scientific term: Aurora Borealis) photos and fell in love with how beautiful Mother nature can be. We are so consumed with our daily grind that we often forget to appreciate the phenomena the Earth creates and displays! I then embarked on my journey looking at deals and the best time to view the Aurora Borealis. There is no guarantee that you will view the northern lights, but if you go at a specific time of the year, and the sky is clear there is a good chance there will be a display for you. 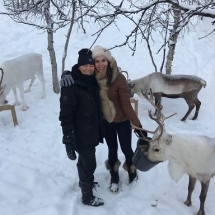 I sifted through many travel agents online and came across the best deal with Magnetic North Travel. I cannot fault them one bit, they were always on call, prompt with queries and had the trip organised in to the T! The next project after booking the trip was researching into proper gear to carry so I don’t get frost bites and become Ola from Frozen. 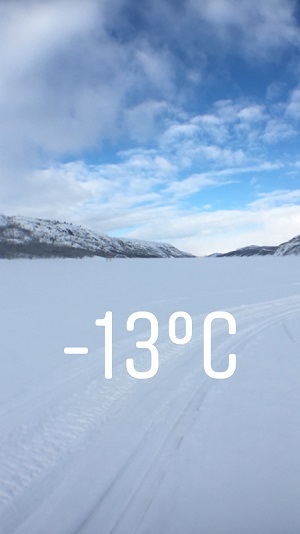 I am naturally a sun seeker and going to -25 Celsius was a bit daunting. and a down jacket to finish off the look. 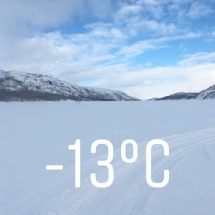 I also read somewhere that the mobile phone may freeze in those sub-arctic temperatures so I made sure I carried an extra camera which is the famous Go Pro. Lo and behold, when I was out and about my camera battery dropped to 10% and when I entered a warm room it went back to its original battery percentage of 60%. 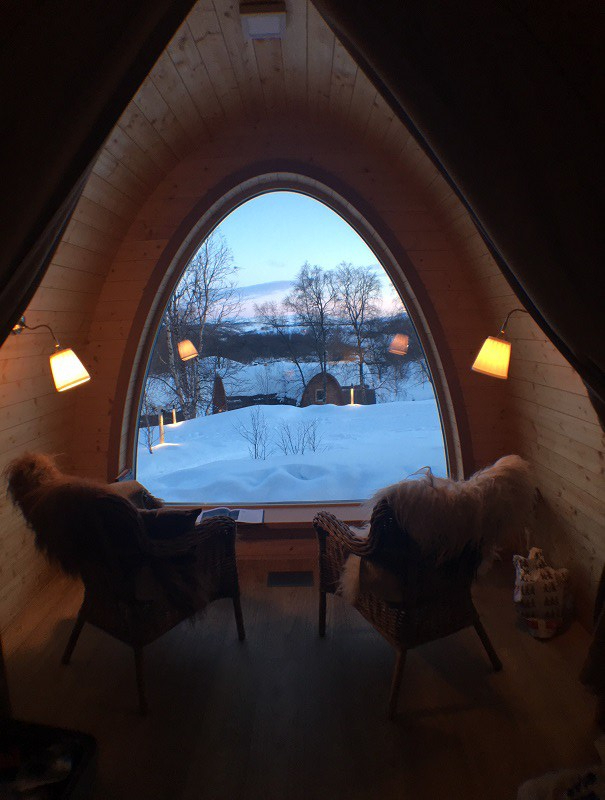 I stayed at the Kirkenes Snowhotel, which by far is the best experience I have had. 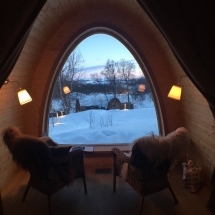 They have the option of staying in lovely Gamme cabins, made of wood with big arch windows for a lot of light. 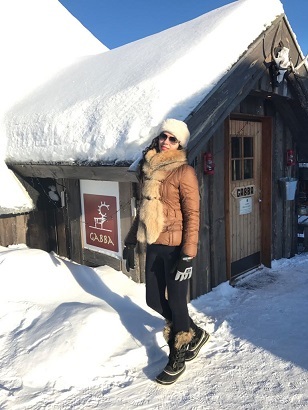 You can also brave the cold and stay one night in the ice room where the temperature is -4 Celsius (much warmer than the outside temperature) and they have special sleeping bags which keep you warm up to -40 Celsius. The carving on the walls of the ice rooms is something spectacular that you can stare at for hours on end. Each year special teams come in from all over the world to build the hotel in December before it melts away in April (how cool is that – a hotel that melts!). 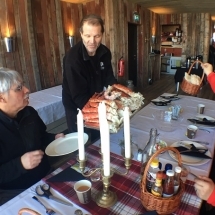 The meals at the hotel were three course and spectacular with local produce incorporated in the ingredients like reindeer meat and King crabs. The staff is very friendly and ever ready to help. They have four different restaurants serving different meals of the day at each restaurant. My trip consisted of three nights and it was just right. There is enough to keep you busy in this remote town of the North Pole. 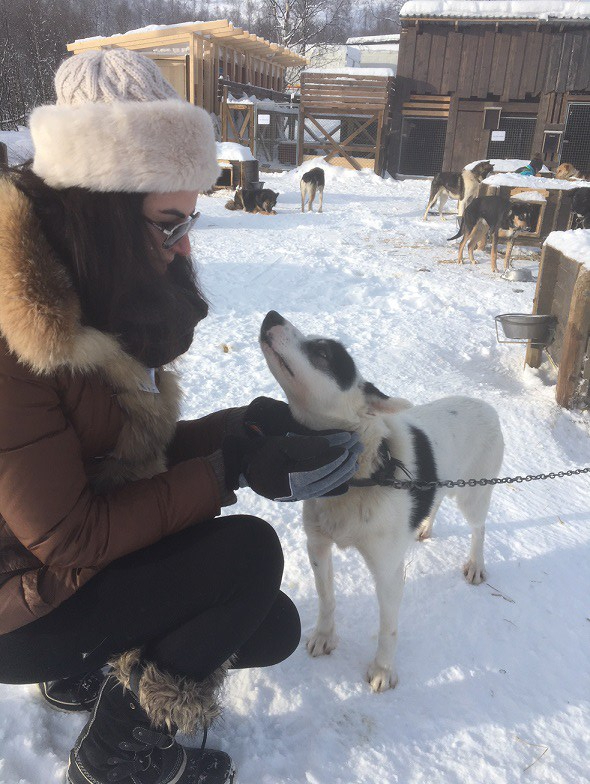 The first day, there was a husky ride that consisted of two hours and if you are lucky enough the dog musher may even let you have a go at handling the huskies (who look ferocious but are the sweetest animals to play with – see pic below for evidence ). The same evening was my northern lights tour which departed at 9:00pm and lasted two hours. The tour consisted of driving to the Finnish and Russian border where there are fewer lights from the city and clear skies. I was so lucky, not only to have experienced a wonderful display of the lights just over our hotel but also to view a dancing spectacular at the Finnish border. 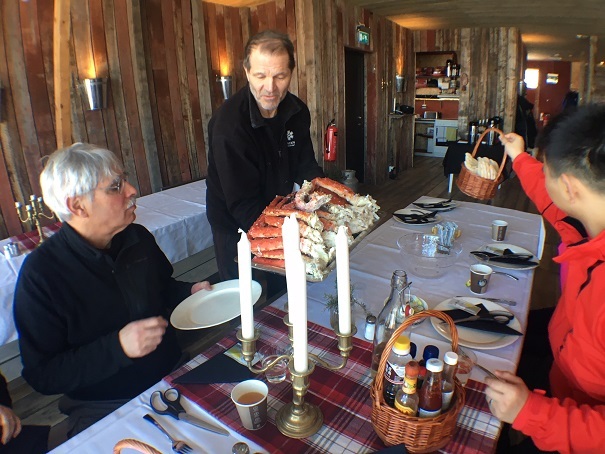 The last day, I went for the King Crab safari which was amazing. The crabs are huge and are made into a lunch meal for the tourists at a nearby restaurant. Overall, the trip definitely has something for everyone and should be on everyone’s bucket list if not already on it. It was on my bucket list and was worth every degree of minus temperatures, frost, snow and money to experience Mother nature displaying her best dance for me on the night that I was there. The view of the Fjords from the hotel was unbelievable and all I can say is Nordic people are blessed with the beauty of their country. Wear two layers of gloves to prevent frostbites (I wore a thermal insulating base layer and on top of that wore fleece lined gloves).